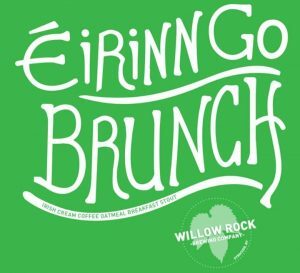 Just before green beer hits the streets on Tipp Hill, swing out to Willow Rock and grab a pint of the much anticipated Éirinn Go BRUNCH breakfast stout! Just like last year we've taken BRUNCH, our Breakfast Stout made with oatmeal and local Recess Coffee, and added Irish cream to this delicious brew. Sláinte! Willow Rock Brewing Company, 115 Game Rd. Come thirsty, come hungry! Willow Rock Brewing Company has partnered with the Syracuse Food Truck Association for a weekly Thursday night Food Truck Rodeo at the brewery. May 17th * Byblos Street Grill Toss 'n' Fire Wood-Fired Pizza *Food Trucks subject to change. Bold Coast Lobster Co. will make their glorious return to the brewery on 8/10! Come on out and grab a lobster roll and your favorite pint of Willow Rock Brew! We're kicking off opening on Wednesdays this week! We're also adding trivia! Guess What Trivia will be on site asking questions while you're enjoying a pint with your trivia crew! Teams of up to 7 people compete in 5 rounds of trivia, including two picture rounds, and chances at free SWAG! T-shirts, gift certificates, etc for prizes! Also get entered in our 7-week trivia tournament, for CASH PRIZES! Maybe a cheesy trophy too…come one come all!